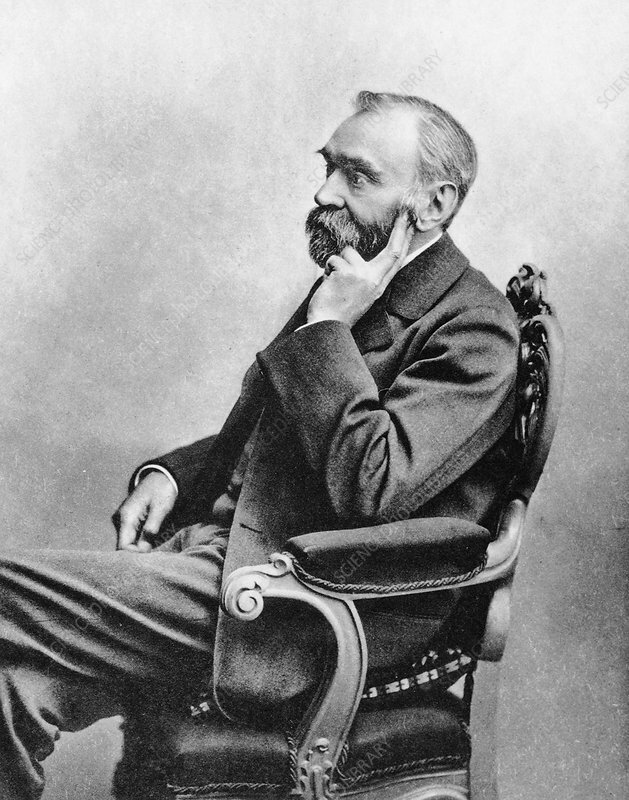 Alfred Bernhard Nobel, c1880s. In 1866 Swedish chemist and industrialist Nobel invented a safe and manageable form of nitroglycerin he called dynamite. Later, he invented smokeless gunpowder and gelignite (1875). Nobel helped to create an industrial empire manufacturing explosives and amassed a large fortune, much of which he left to fund the Nobel Prizes, which were first awarded in 1901. Awards were given for excellence in physics, chemistry, physiology or medicine, literature and peace.